Rents: Can landlord and tenant freely agree rents in Botswana? The rental market in Botswana is a free market, and the landlord and tenant may freely agree the rent between themselves. There is a Rent Control Act (Chapter 43:09), but it applies only to commercial properties in urban areas. Provision for rent to be increased during the lease may be made in the lease agreement. For instance, the parties may specify that after a period of time the rent will increase to a certain amount, or to an amount to be agreed at a future time. The parties may also make provision in the Lease agreement for an escalation clause by which at the end of each year, the rental will increase at a certain percentage. For instance in a 5 year lease, the parties can agree that the Lessee shall pay an amount for each month of every subsequent year (each subsequent year commencing on the anniversary date of the Commencement Date of the Lease Period) which is 10% greater than the amount of the rent for the last month of the preceding year. There is no legal maximum deposit. Requiring a deposit is normal practice. What rights do landlords and tenants have in Botswana, especially as to duration of contract, and eviction? Fixed period leases. Provided that neither party is in default, a fixed period lease automatically terminates at the end of that period, and no notice of termination is required. Leases terminating at will. These leases terminate at the will of the lessor, or of the lessee, or of either party. These normally provide for a notice period. If the lease agreement provides for termination on notice at the will of either party or in the event of default, it should provide for the steps to be taken. Indefinited leases These leases have no fixed terminal point and run from period to period, until brought to an end by notice. An indefinite lease is terminable by either party giving the other notice of termination. If the parties leave the period of the lease undefined, the law requires reasonable notice to be given by the one to the other. What constitutes reasonable notice is not laid down but depends on the circumstances of each case. Upon the expiration of the notice period, the lease terminates. In the event the lease agreement does not provide for termination at all, the parties are bound to continue and the aggrieved party may proceed to sue for cancellation of the Lease agreement and damages as a result of breach. Like any other contract, a lease may be terminated by mutual agreement, be it oral or in writing, or implied from the conduct of the parties. How effective is the Batswana legal system? The law can be slow, although in theory the landlord's rights are strong. Whenever and so long as rent is due and payable and has not been paid, the landlord has a residual hypothec over the movable goods of the lessee on the leased premises. The effect of the hypothec is that, with the confirmation of the High Court, the Landlord can attach the property of the Lessee in security for payment of rental and arrears. To perfect the Landlord's hypothec, the Lessor makes an application to the High Court for an order to attach the property pending an action to be taken by him for rental arrears and damages and for cancellation if the lease does not provide for cancellation under those circumstances. Confirmation of the hypothec can take anything from one to two months. Soon after the Landlord's hypothec is confirmed, the Lessor will issue summons for recovery of rental arrears and damages. The summons may be unopposed or opposed by the Lessee. It takes approximately two weeks to register the summons at Court, then a waiting period of 10 to 21 days for the Lessee to defend the action. Where the action is unopposed, the Lessor is entitled to apply for a judgment in default of appearance. Waiting period for the judgment to be issues from the High Court is 3 to 4 months. 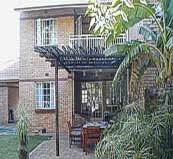 After obtaining the judgment, and the rent remains unpaid, the Lessor can sell the attached property within a month. Where the action opposed, it takes approximately 3 months to close pleadings, and thereafter the parties wait for the Court to appoint a trial date, which can be anything from 2 to 3 years. For Landlord and Tenant issues, Botswana looks to the common law, which is based on decided cases. The Land Control Act is only applicable to commercial properties in Cities and Townships in Botswana. How high are estate duties in Botswana?